The funny thing about The Hive Box is that I only found it because an anonymous commenter said she was looking for a box that sent honey. That made me curious to see what was available out there and whether there was a box that sent small batch honey monthly. To my surprise and happiness I found The Hive Box and I've been subscribed ever since. The Cost: $24.95/month plus shipping. What You Get: Every month you'll receive one new raw honey plus 3-5 other bee-related items like candles, soaps, home goods, paper products and edibles. If you love honey and you're on a budget, the great thing is that you don't have to get the large box that I get. 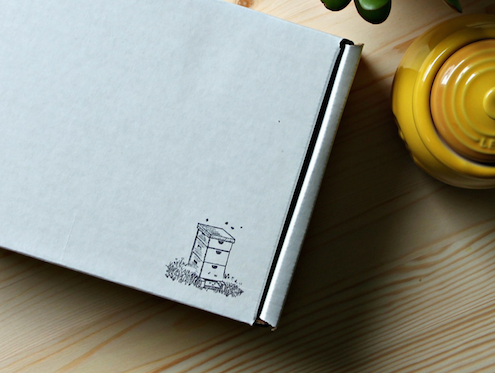 You can get a smaller box with just a honey, beeswax candle and a small extra for $16! Considering the honey itself is usually around $10, it's an amazing way to get fantastic honey from all over the place. This is basically the perfect box for a honey lover. Because honey is like wine, every batch is different! I will never get the honey bears on the top shelf at the grocery store again. Small batch is where it's at! Plus it's supporting hard working small business owners.